There's no arguing the fact that startups are a key to a thriving economy. Between 1980 to 2005, for example, nearly all net job creation in the U.S. came from companies less than five years old. But what does that start-up need before it gets up and running, creating jobs, selling products, paying taxes? It needs capital. 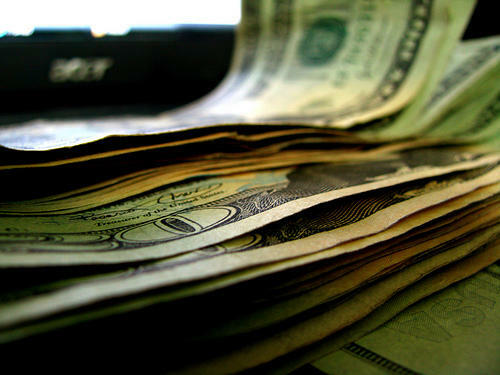 And getting that initial dose of money can be a tough challenge for a small business. That's why there's growing excitement over Michigan's new crowdfunding law. It's called the Michigan Invests Locally Exemption – "MILE." Let's find out what this new law means for Michigan start-ups and for your opportunities to invest in small businesses. 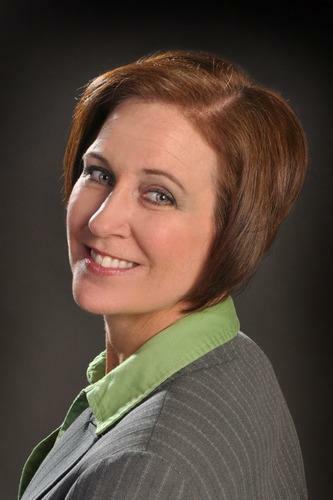 Sandra Cochrane is a consultant with the Michigan Small Business Development Center, and she joined us today. 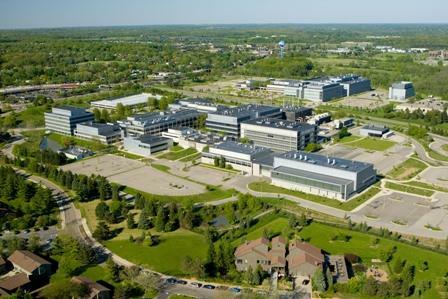 TRAVERSE CITY, Michigan – An organization representing the eight states and two Canadian provinces in the Great Lakes region is teaming with former U.S. Treasury Secretary Henry Paulson in an effort to attract foreign manufacturing investment. 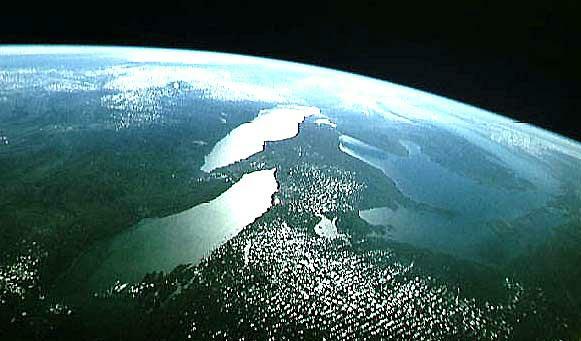 The Council of Great Lakes Governors announced the initiative Friday during a meeting in Chicago. 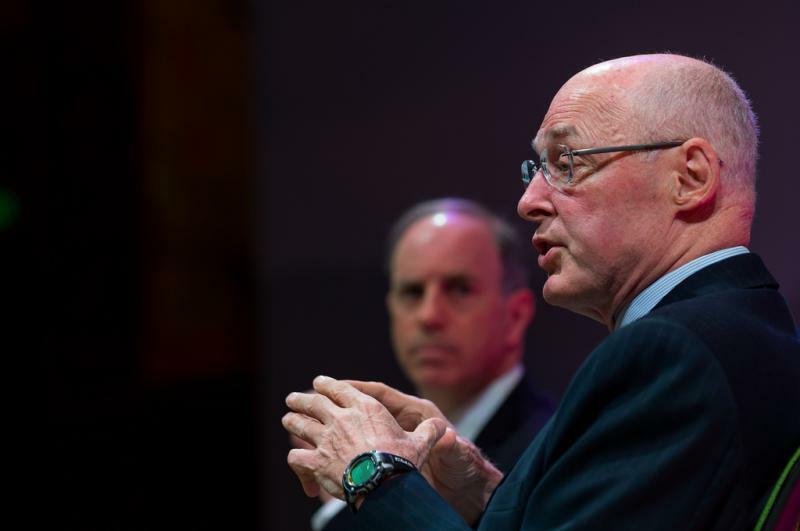 Paulson says many emerging economies such as China's are beginning to seek direct investment opportunities. The Great Lakes governors say they'll step up efforts to steer those investments into the U.S. manufacturing heartland. The governors' council and the Paulson Institute are planning a "competitiveness forum" this summer in Detroit, led by Paulson and Michigan Gov. Rick Snyder. The partnership also will develop strategies for matching investors with opportunities, and for linking the region's research and development to foreign markets. An interview with Brenda Parker and Chantal McDaniel. Do you shop resale? Do you have a favorite thrift shop? The business of selling second-hand goods has become a $13 billion industry in this country annually. It's grown about 7% over each of the past two years. 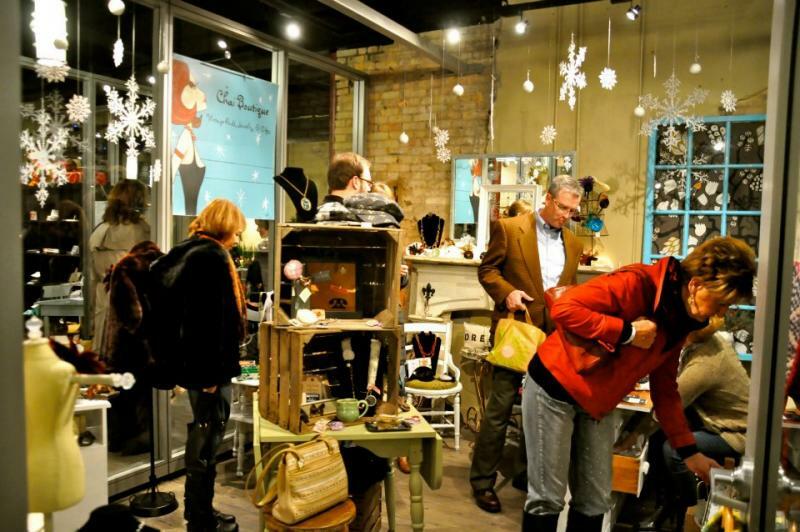 Now you'll find resale, thrift and consignment shops in most Michigan cities and towns. What's behind the growth? And what does this "resale" economy offer us? We're joined by Brenda Parker. She is a professor of Urban Planning at the University of Illinois at Chicago. She recently coauthored a piece on the restructuring of retail economies in this era of e-commerce. And we welcome Chantal McDaniel. She is based in Grand Rapids, and she writes a thrift fashion blog called "Thrift Trick: Miles of Fashion on a Shoestring." 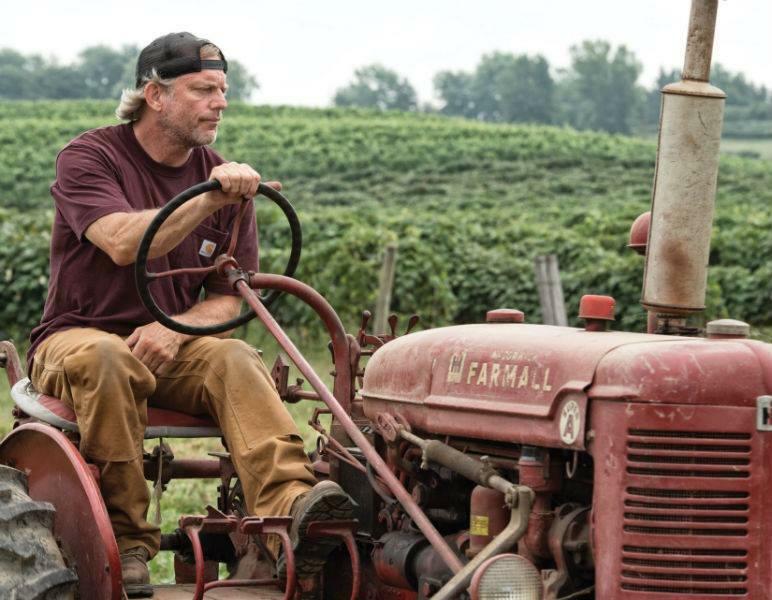 Carhartt got its start in southern Michigan when the company's founder, Hamilton Carhartt, set out to make the best pair of overalls he could for railroad workers. The company is still family owned and remains in Michigan. We spoke with the company's current CEO, Mark Valade. He's Hamilton Carhartt's great-grandson. Listen to our interview with him above. President Obama was in Ann Arbor today to give a speech on raising the federal minimum wage. 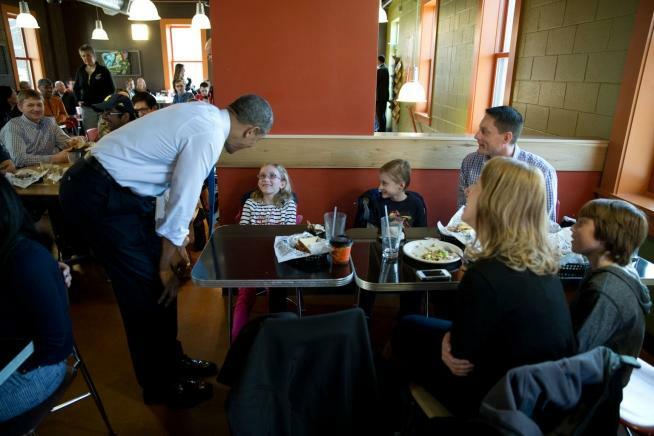 Prior to the speech, Mr. Obama stopped at Zingerman's Delicatessen and ordered a Reuben sandwich. POTUS and motorcade stopped at Zingerman's Deli in Ann Arbor just before 1:30 p.m. With his suit coat off and U.S. Rep. Gary Peters by his side, the president ordered a Reuben sandwich. That's for a two-parent family with two kids and where the two parents are working. Peter Ruark and Cameron Merrill compiled the numbers for the Michigan League for Public Policy. Their report states that "making ends meet" means just covering the bare necessities. If you and your partner have two kids, and you make $52,330 a year, the authors say you have just enough to cover your expenses for things like housing, food, healthcare, clothing, child care, transportation, and taxes. It's equal to each person making $12.85 an hour at a full-time job. They also broke down the difference in need based on where you live in Michigan. Scroll over the interactive map below to see their wage estimates for each county. Life for a startup company is tough. 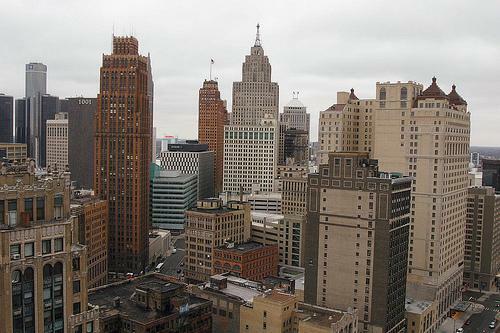 But life for a startup in Detroit may be getting a little easier. How successful was the War on Poverty? It has now been 50 years since President Lyndon Johnson declared a War on Poverty. There is a popular perception that President Johnson's War on Poverty failed. 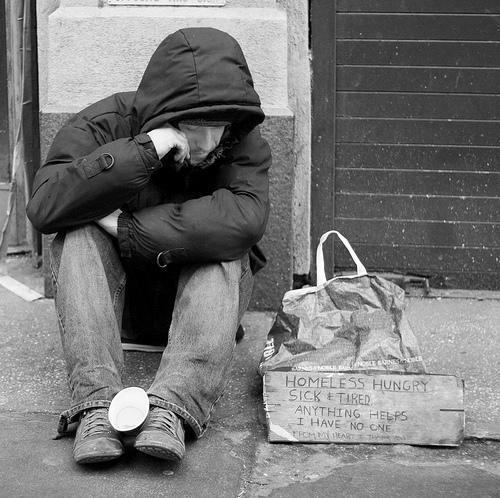 Critics point to the official poverty rate and say it has scarcely budged from 1964 to 2014, despite the $15 trillion spent in those 50 years. But a University of Michigan economist is challenging that view. She is co-author of a new paper that analyzes spending during the Johnson Administration, and she believes it is wrong to call the War on Poverty a failure. Martha Bailey joined us today. Today we looked at the long-range forecast for Michigan as a whole and what it will take in terms of policy decisions and education to keep Michigan from having a future as dark and dismal as a Dickens novel. Two writers who've explored these questions for Bridge Magazine joined us today: Ron French and Nancy Derringer. There’s a new group called the Economic Justice Coalition which is seriously considering trying to get a proposal on the ballot to raise the minimum wage in Michigan. You might think that would make Democrats happy. Their gubernatorial candidate, Mark Schauer, came out in favor of a minimum wage hike two months ago. But Democratic leaders aren’t thrilled with a ballot campaign, for reasons I’ll explain in a minute. Now, it’s not that they don’t want a higher minimum wage.Virtually all of them do. Schauer said if elected, he would try to raise Michigan’s from the present $7.40 an hour to $9.25 an hour over three years. 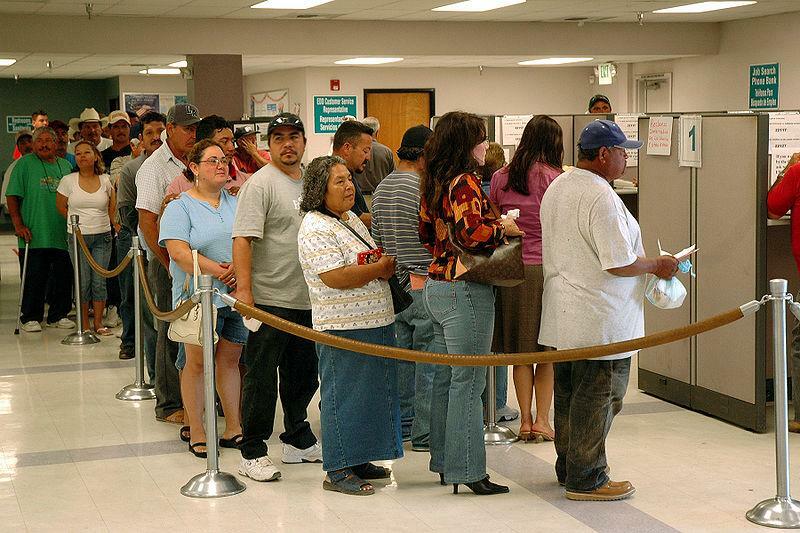 More than 1.6 million Americans have lost their unemployment insurance since the end of 2013. 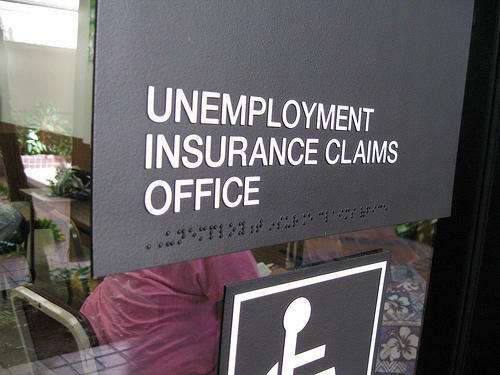 Congress allowed federal legislation designed to give job seekers unemployment benefits to expire on Dec. 28. Congressional Democrats have called on Republicans to support legislation that would revive unemployment benefits. Sen. Jack Reed, D-Rhode Island, who authored legislation to extend unemployment benefits, said partisan gridlock could cause the number of people without unemployment benefits to double by the end of the year. 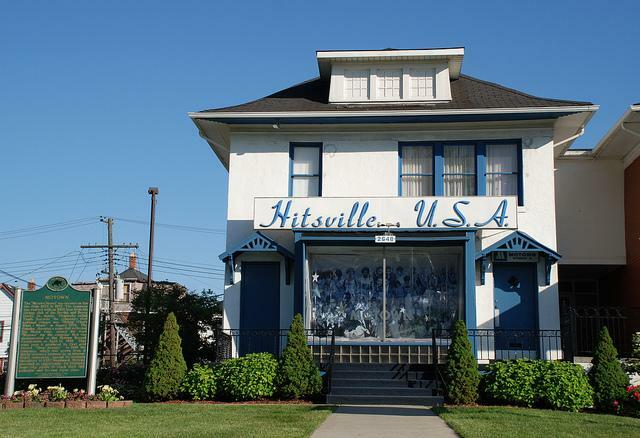 From Motown to Madonna, techno to gospel, jazz and blues, from Eminem to Kid Rock to Aretha, and much more, the Detroit area has been, and continues to be, a music powerhouse. 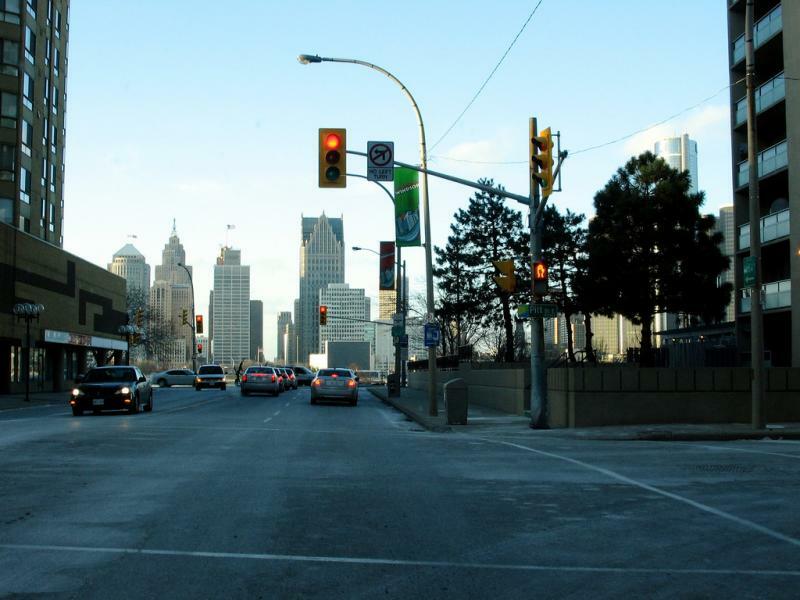 In fact, at least 38 Grammy Award winners and nominees from the past five years have a Detroit connection. A recent study from the Anderson Economic Group takes a deep dive into the business of the Detroit-area music scene. Alex Rosaen, the principal author of the study for the Anderson Economic Group, joined us today. Michigan's primary industry, the auto industry, had a boom year in 2013. That rapid growth is expected to slow in 2014, according to Robert Dye, an economist with Comerica Bank. So, there may not be as many auto jobs created. 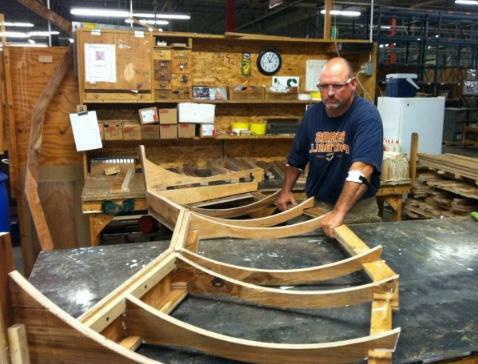 But, Dye notes that West Michigan's furniture industry could experience a boom. "As we generate more jobs nationwide, companies will start reinvesting back into their office space," says Dye. "And so I do expect improving conditions for furniture manufacturers in Michigan." 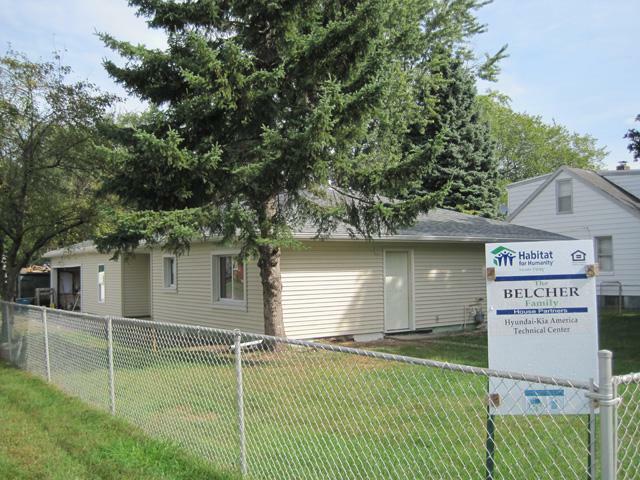 How will Michigan's housing market fare in 2014? One of the common traditions as we end one year and begin another is taking stock — reviewing where we've been and figuring out where we want to go in the New Year. A good place to focus that review would be finances, and the prospects for the housing market. 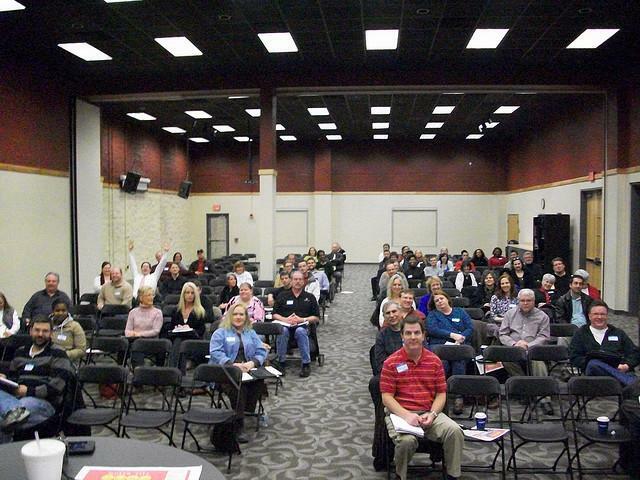 A consumer credit forecast was released today that can give us a look into where Michigan’s market may be headed in 2014. Planet Money published a story about used clothing trends. One T-shirt found in Kenya was originally made for a Michigan bat mitzvah in 1993. When jobs are scarce, people will do whatever they can to put a meal on the table, pay the mortgage or the rent. Whether it's odd jobs, selling plasma, doing home repairs and getting paid under the table, people are doing it. One economist gave a best-guess estimate of two trillion dollars worth of this underground activity in the nation last year -- that’s nearly eight percent of the Gross Domestic Product. Reporter Lynn Moore wrote a piece about the shadow economy in Michigan and she joined us today. Half a century ago, America suffered one of the most traumatic events in our history: The assassination of President Kennedy. But while it is important to remember that, it might also be good to consider that there is a bunch of good economic news today. Good news, especially for Michigan. Yesterday, University of Michigan economists presented their annual November forecast. They saw good things ahead, with the national economy growing almost twice as fast over the next two years as now. Two experts from the Research Seminar in Quantitative Economics predicted five million new jobs over the next two years. Unemployment, they predict, will fall from just over seven to about six percent. Meanwhile, they predict the automakers will sell half a million more units next year than this, more still in 2015, and the housing market will also grow. Inflation will stay low and oil prices will remain steady. This is all very good news, if true. This week, the Business Leaders for Michigan, the state’s most prominent business roundtable, met in Detroit. The group offered an in-depth “report card” of how Michigan is recovering from the implosion suffered during the recession. They also outline what it’ll take to boost Michigan’s presence as a money-generating state. We talked with Daniel Howes, a business columnist with the Detroit News, about Michigan's current business climate — and where things go from here. 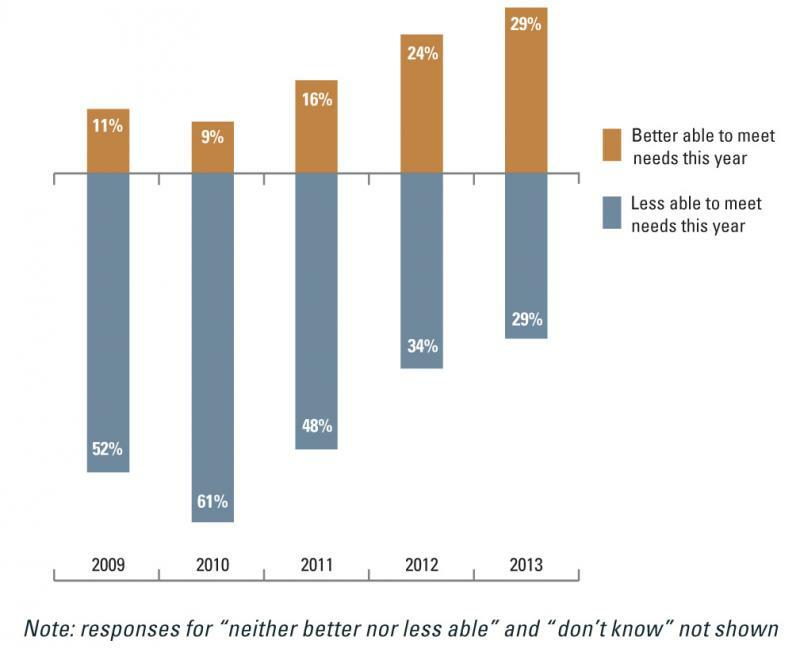 Americans are less optimistic about the economy in the wake of the partial government shutdown earlier this month. That information is coming from the University of Michigan’s "Index of Consumer Sentiment", which measures how confident consumers are in their economy. Experts say the latest drop in consumer sentiment may impact the holiday shopping season. Michigan's cities, towns, and villages are seeing an overall improvement in their ability to meet their financial needs, but hundreds continue to struggle. That's according to an annual report by the Center for Local, State, and Urban Policy at the University of Michigan's Ford School of Public Policy. The report finds that smaller municipalities are having a tougher time than those with populations of more than 30,000. And municipalities in central Michigan and the southern lower Peninsula have been particularly hard hit. Twenty eight of Michigan's top 100 public companies have no women as directors, executive officers, or in the ranks of the five highest-paid employees. Even among companies with women in top positions, the numbers are small, and the rate of change glacial. That's according to a report recently released by the Inforum Center for Leadership in Michigan. The report was co-authored by two officers of Inforum and two faculty members at Wayne State University's School of Business Administration. 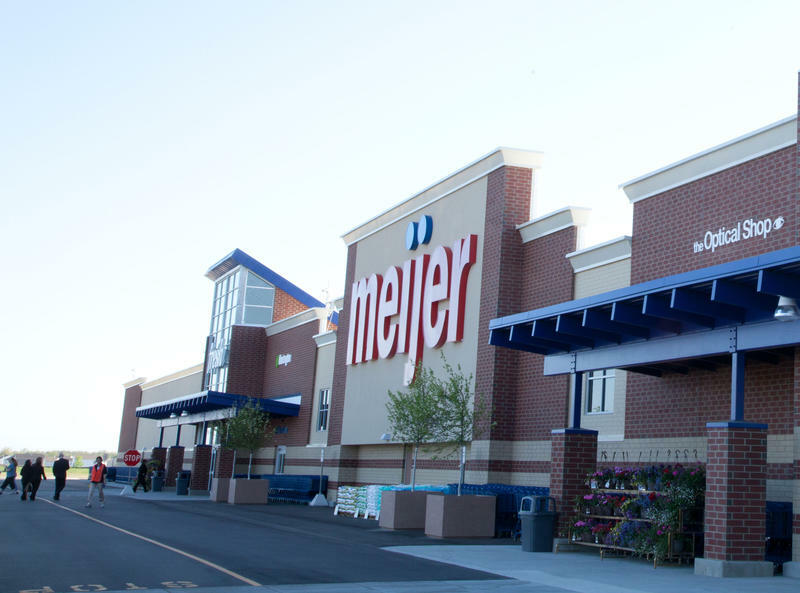 Meijer announced today that they're planning to hire 4,400 part-time workers in Michigan (more in other states). The Grand Rapids-based company says they're hiring in response to company growth and in "in preparation for the fall and holiday selling seasons." We know the question everyone has been asking about the impending arrival of a new member of the British royal family. No, of course it's not, will it be a girl or a boy. We are, after all, public radio consumers. What we really want to know is: What will the economic impact of the royal birth be on the U.K. economy? That's the estimate for a family made up of two parents and two kids. The numbers are calculated by the Economic Policy Institute, a progressive think tank based in Washington D.C.
You can look up your specific living situation with their updated "Family Budget Calculator." 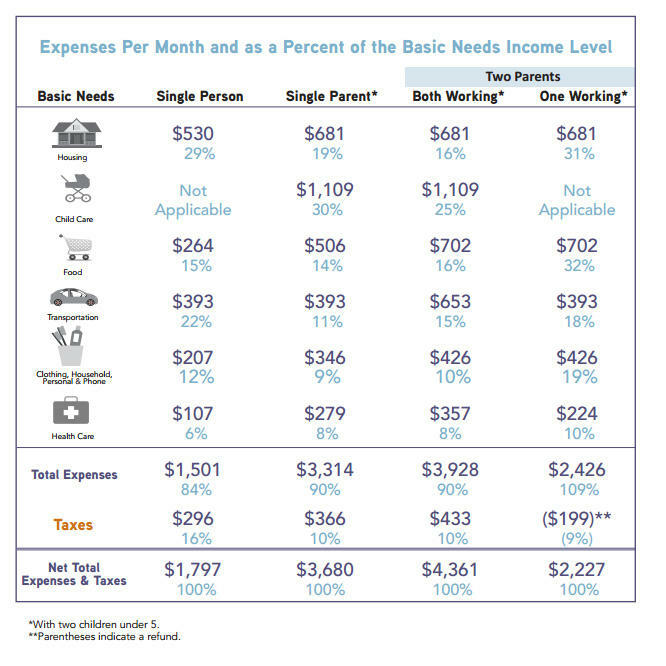 EPI says the calculator estimates the annual income a family needs for a "secure yet modest living standard." It estimates expenses related to housing, food, child care, transportation, health care, other necessities, and taxes. And by their calculations, families at the poverty level set by the federal government are nowhere near the EPI's "getting by" threshold. 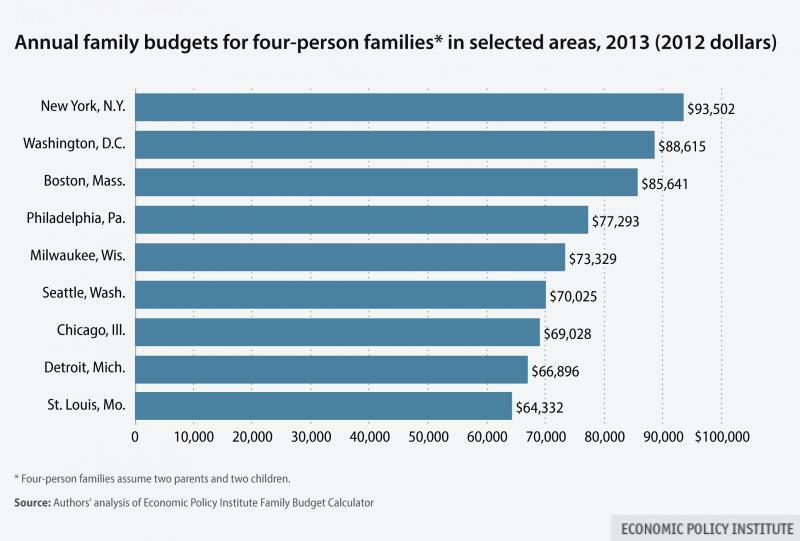 The budgets, updated for 2013, are calculated for 615 U.S. communities and six family types (either one or two parents with one, two, or three children)...EPI’s family budgets offer a higher degree of geographic customization and provide a more accurate measure of economic security. In all cases, they show families need more than twice the amount of the federal poverty line to get by. Of the 20 areas the EPI examined in Michigan, the Ann Arbor area came out on top as the most expensive place to live. Rural Michigan was the least expensive. How does job growth in Michigan compare to other states? 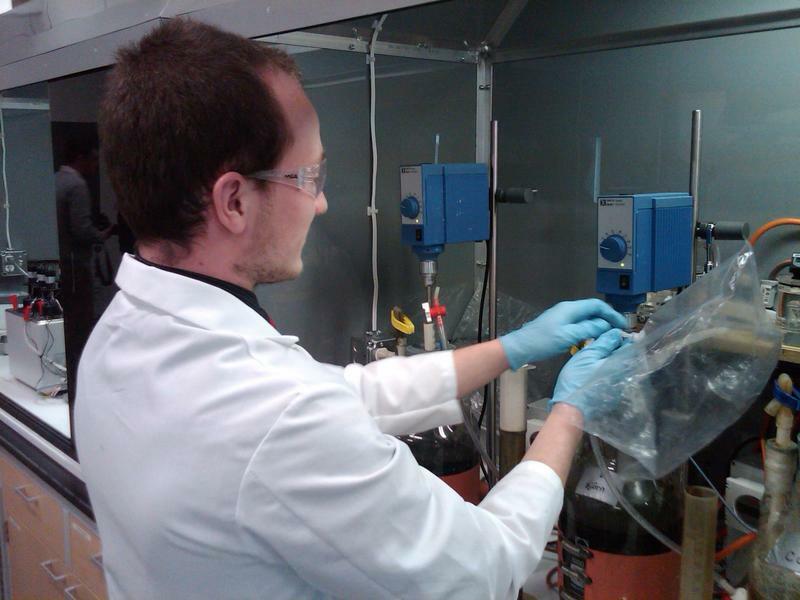 An interview with Daniel Howes. Economic development leaders in Michigan like to talk about the number of manufacturing jobs created in the state in the last couple of years. But Michigan is not keeping up with the job growth of some other states as the nation recovers from the Great Recession. It's Thursday, which means we talk to Daniel Howes, business columnist with the Detroit News. Howes joined us today to discuss Michigan’s anemic job growth. An interview with Charles Ballard and Rick Haglund. The Snyder administration has maintained its "relentless positive action" to reinvent Michigan. Lansing restructured taxes to give businesses better than a billion dollar tax break to encourage job growth in Michigan, and Gov. Snyder approved the right to work law which proponents insist will bring jobs to Michigan. There has been some growth in jobs, but it’s been kind of anemic. Charles Ballard, a professor of economics at Michigan State University, and Rick Haglund, a freelance writer for Bridge Magazine, MLive, and a blogger at MichEconomy.com, joined us today to discuss the issue. An interview with John Austin, the director of the Michigan Economic Center. The term "economy" is used constantly in news stories or opinion pieces about Michigan, its trials and tribulations, its budding recovery. But John Austin would like to get us all thinking about the "blue economy," the one that is based on the Great Lakes and water-related industry. John is the director of the Michigan Economic Center, which is affiliated with the Prima Civitas Foundation, and he joined us in the studio today. It wouldn't be summer without a search for Jimmy Hoffa. 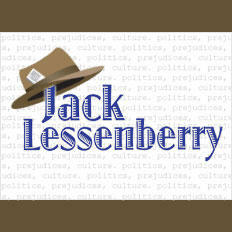 We spoke with Michigan Radio's Jack Lessenberry about why we're still fascinated by the Hoffa disappearance all these years later. And, we talked about the huge economic changes to mid-America with the author of the new book, "Nothin' But Blue Skies: the Heyday, Hard Times, and Hopes of America's Industrial Heartland." And, Donna Posont, the director of Opportunities Unlimited for the Blind, joined us to discuss her group’s new project, Michigan Birdbrains. Also, a diver found a bottle containing a message from nearly 100 years ago at the bottom of the St. Clair River. He joined us to talk about his discovery. First on the show, the term “economy” is used constantly in news stories or opinion pieces about Michigan, its trials and tribulations, its budding recovery. Michigan’s three biggest universities are producing young entrepreneurs twice as fast as the national average. That’s according to a report by East Lansing-based Anderson Economic Group released today at a conference of business leaders and politicians on Mackinac Island. Debbie Dingell is chair of the Wayne State University Board of Governors. “What’s clear is that we in Michigan have young people with ideas, and we’re giving them a university system that’s giving them the tools that they need to actually go out and start that business,” said Debbie Dingell, chair of the Wayne State University Board of Governors. The report says almost half of the new businesses started by college grads have been started or acquired in Michigan. University officials say they’ve revamped their curriculum in recent years to encourage entrepreneurship among students. Opponents of a plan to change the foreclosure process in Michigan say it would put more people out of their homes and hurt property values. They were in Lansing today to protest a package of bills in the state Legislature. The legislation would shorten the amount of time homeowners have to stop a bank foreclosure from six months to two months. 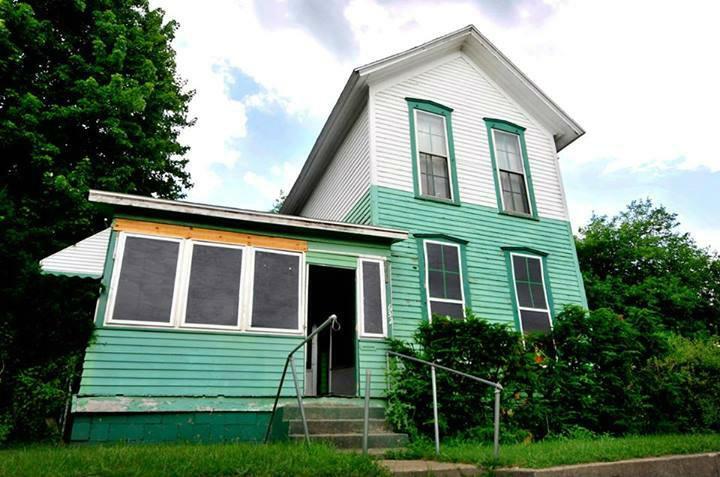 Ingham County Register of Deeds Curtis Hertel Jr. says banks have wrongly foreclosed on thousands of properties across the state. He says it often takes months for people to prove they don’t deserve to lose their home.